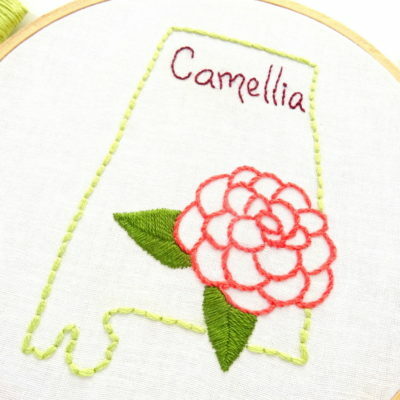 The Camellia might not be native to Alabama, but this showy flower with dark shiny leaves flourishes all around the state. 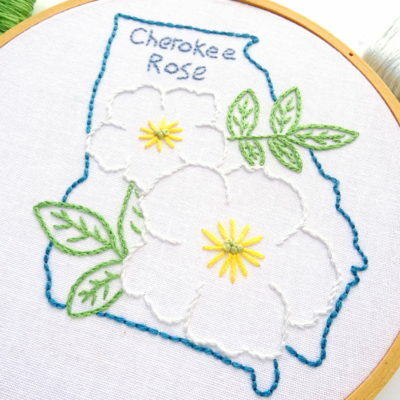 Adopted as the official state flower in 1959, the Camellia replaced the native goldenrod which was deemed too common. 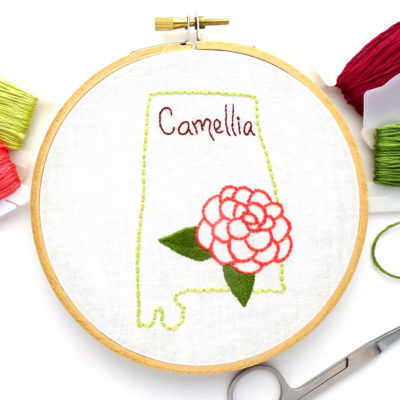 Today, Camellias are prized in Alabama for their pastel blooms from November to March. 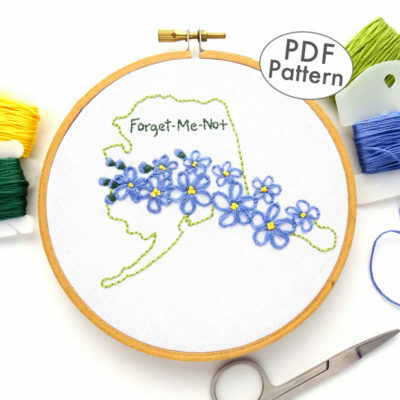 Any 3 State or State Flower Patterns 3 for $15! 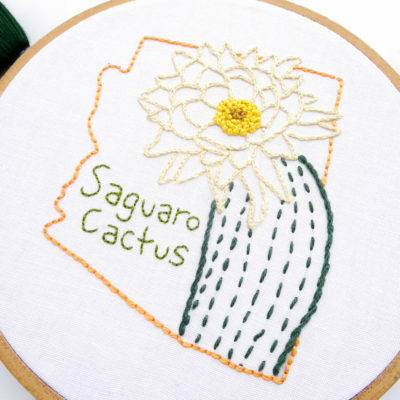 It only seems fitting that the official state flower of Arizona grows on a cactus – a very big cactus! 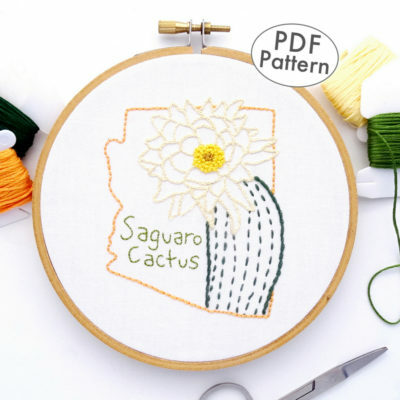 The creamy white blooms of the Saguaro appear at the tips of the tall trunk and large branches (or arms) each year during the early summer. While the blooms are short-lived a single cactus can produce over 200 blooms! 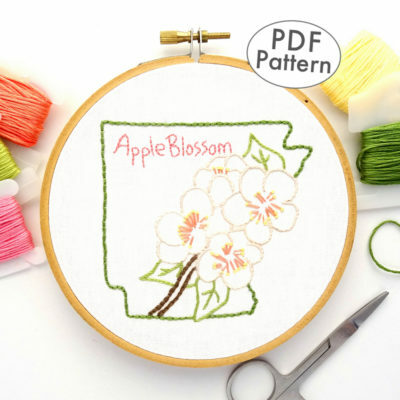 The apple blossom was chosen as the official flower of Arkansas at the beginning of the 20th century at a time when the state was the top apple producer in the country. 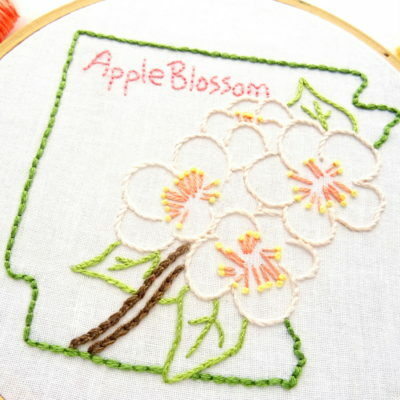 Today, Arkansas is no longer a top apple producer, but there still are plenty of apple trees scattered around the state. 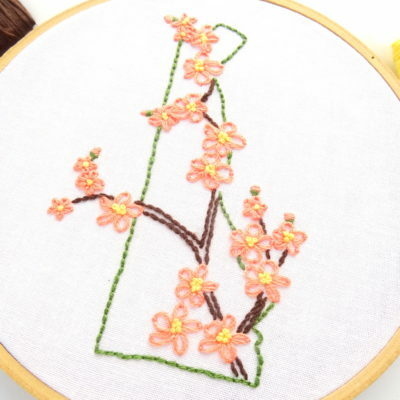 Never is this more evident than in the early spring when the delicate pink and white flowers permeate the air with a sweet, honeysuckle scent. 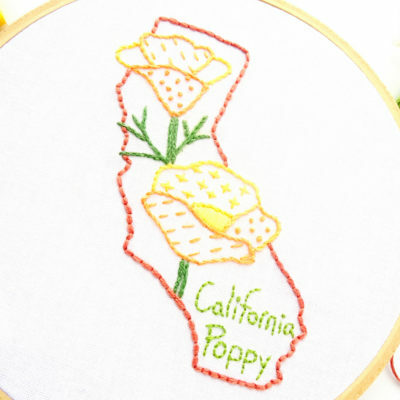 After smashing the competition in an election to choose the state’s signature flower, the California poppy became the official state flower in 1903. 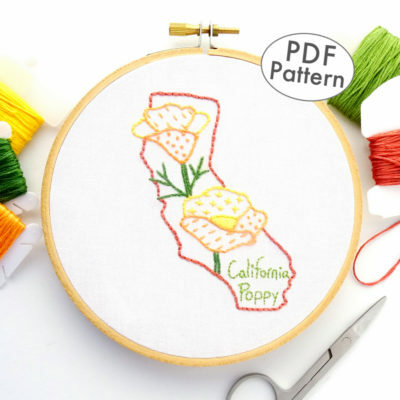 This colorful wildflower grows throughout the state, setting the rolling hills ablaze with its golden and orange blooms. 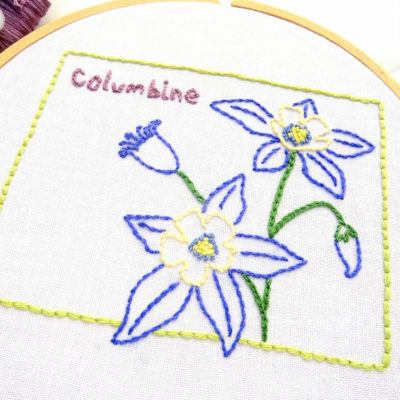 Discovered in 1820 on Pike’s Peak by mountain climber Edwin James, the Rocky Mountain columbine has been the official state flower of Colorado for over a century. In the summer months, meadows and hillsides all over the state are covered with this lovely violet and white sweet-smelling flower. 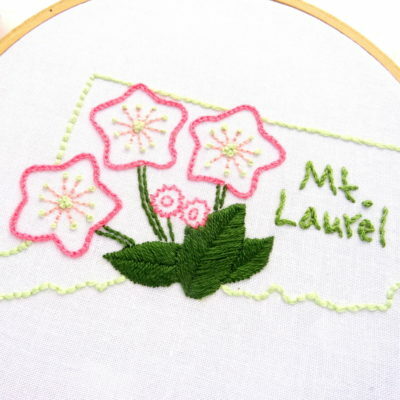 Every year in the months of May and June, the Mountain Laurel bursts with masses of bright tiny blooms. 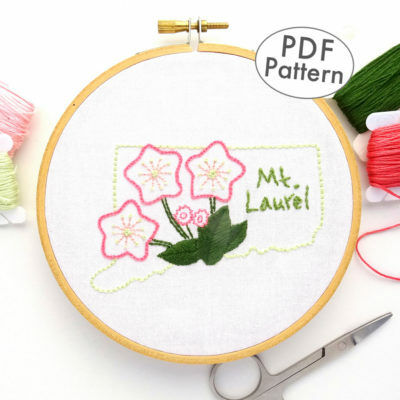 These colorful flowers turn roadsides, wildernesses and suburban yards throughout Connecticut delightful colors of pink, white and red. In the late 1800s, Delaware gained a reputation as “The Peach State” because of the bountiful orchards around the state that contained more than 800,000 peach trees. 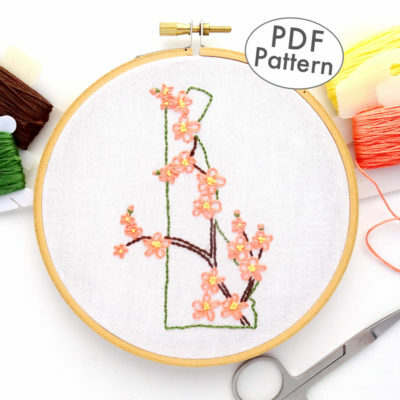 It was only natural that the peach blossom would become the official state flower. Today, very few commercial peaches are produced in Delaware, but the sweet-smelling blooms can be spotted in the spring along roadways and in gardens. 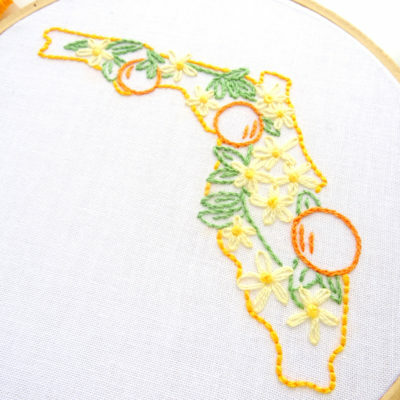 As the largest producer of oranges in the United States, it’s no surprise that the lovely orange blossom is the official state flower. 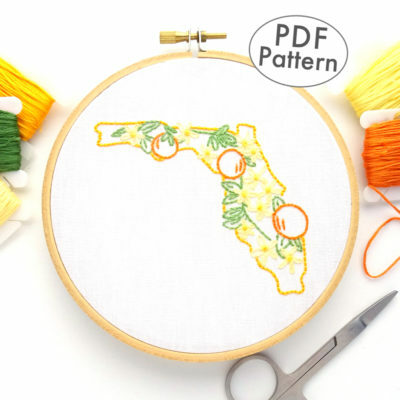 Every spring, the sweet scent of the fragrant white blossoms perfumes the air throughout central and southern Florida. 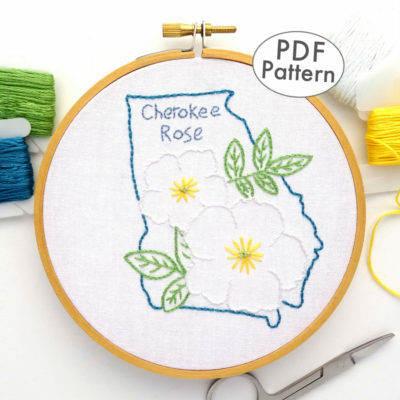 With its waxy white petals and large golden center, the Cherokee Rose can be spotted blooming all around Georgia during the early spring months. 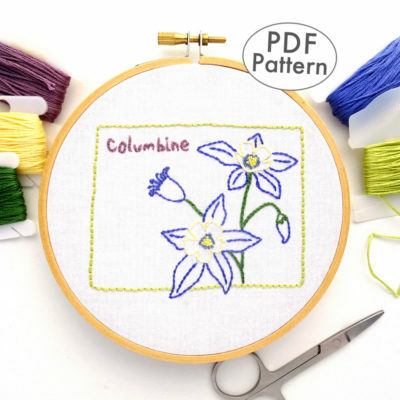 Designated as the official state flower in 1916, this lovely white flower is honored around the state during numerous annual events. 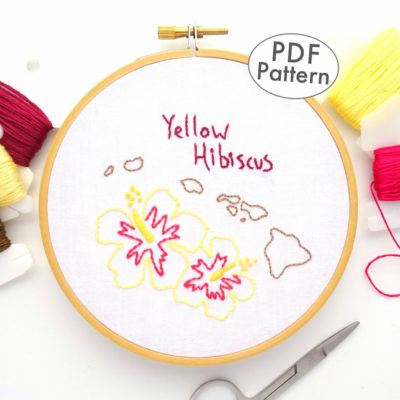 In the early 1920s, all varieties and colors of the large blooming hibiscus, or pua aloalo, were adopted as the territorial flower of the Hawaii Islands. 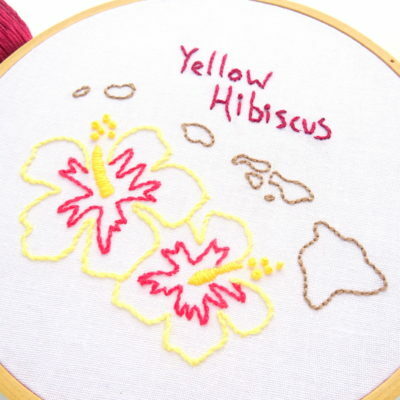 Some 60 years later, the designation was changed to the native yellow hibiscus which became the official state flower. The hibiscus is a symbol of power and respect and is commonly gifted to visitors, state officials, & tourists. 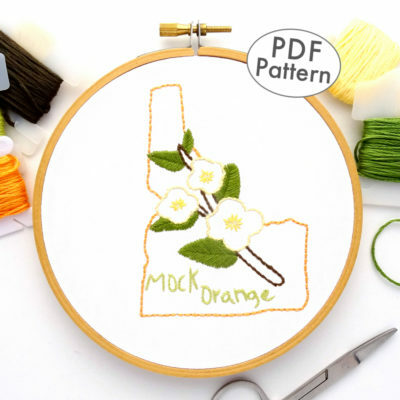 For several weeks in late May or June, the tall arching branches of the Mock Orange bush are covered with a multitude of pale white blossoms. 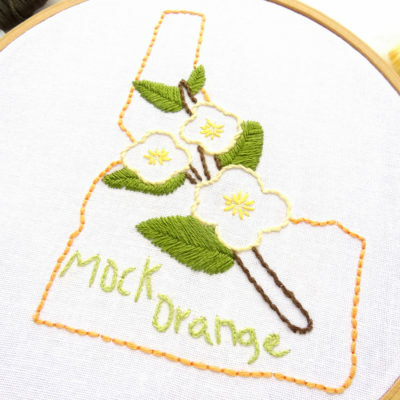 First discovered by explorer Merriweather Lewis, Mock Orange gets its common name from the delicious orangey scent that makes it attractive to bees and humans alike. 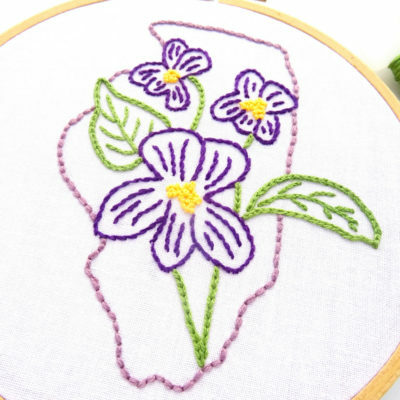 Adopted as the official state flower in 1908, the Purple Violet blooms in abundance across Illinois. 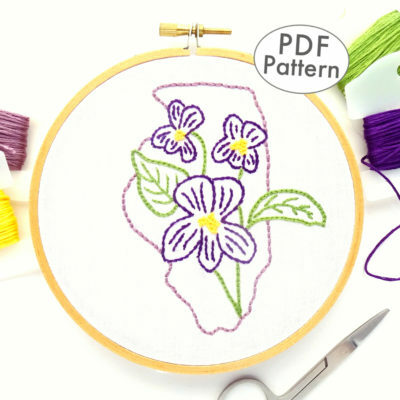 From prairie to lawn to woodland, this long-blooming flower colors the state with shades of purple and blue. 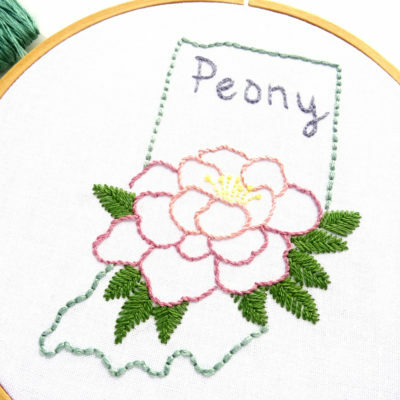 How lucky are the people of Indiana to have this gorgeous, showy flower as their official state flower? 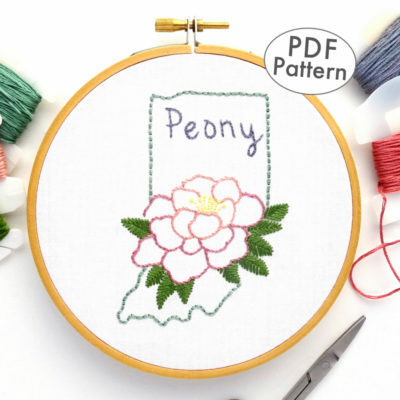 While not native to the state, this floriferous plant with a profusion of pink, white, red and purple blooms can be spotted all around Indiana in the early summer months. 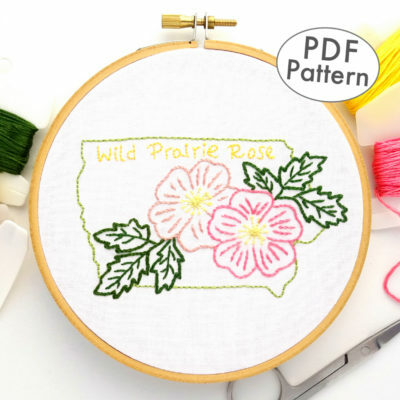 Wild Prairie Rose blooms profusely across Iowa in the early summer. 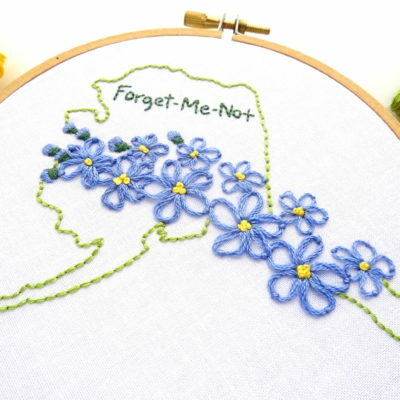 In 1896, lawmakers commemorated this hardy flower by having its picture etched on a silver tea service that was presented to the crew of the U.S.S. Iowa. 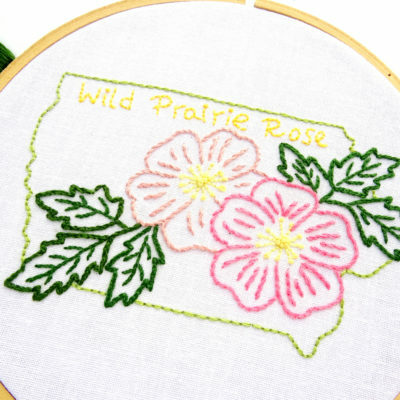 The following year the wild rose became the official Iowa state flower.